photo courtesy of astro twilight (cc)Rickey Henderson (born December 25, 1958) is a former Major League Baseball MVP Hall of Famer left fielder who played for the Oakland Athletics (among other teams); during his lengthy baseball career Henderson was famous as a great home run hitter and AMAZING at stealing bases! 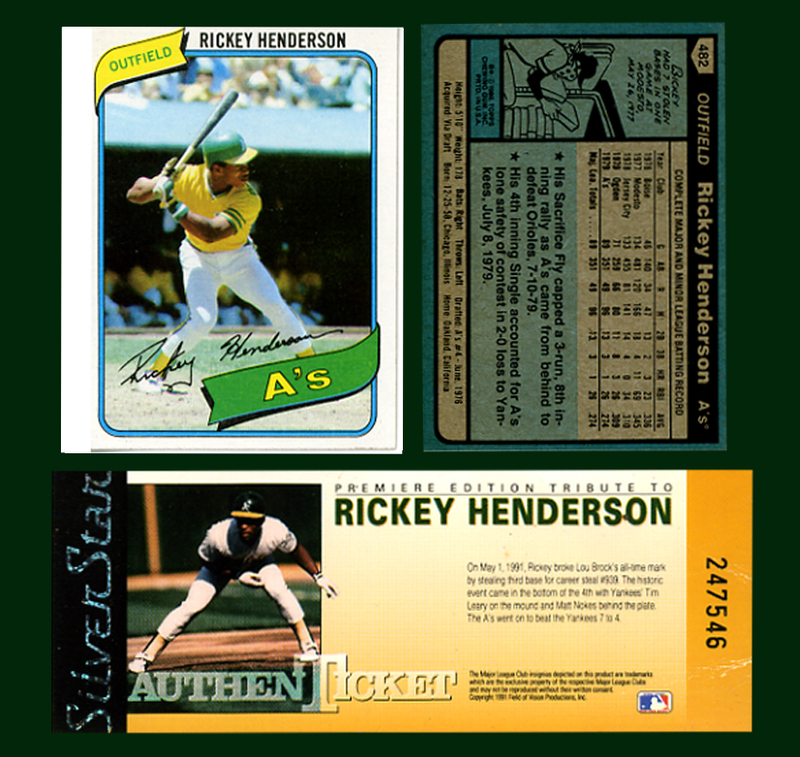 He played in the majors from 1979 to 2003, including four different stints with the A's. Moving to Oakland as a young child, Henderson graduated from Oakland Technical High School. In 1982, Henderson set the single-season record for stolen bases with 130; the record has never been approached since. 3 Local residents may remember the day (pictured at left) in 1991 when Rickey broke Lou Brock's all time stolen base record. He went on to set the record at 1,406 career steals.